Exceptional candidates can be difficult to find within any industry or field, and often the best candidates can be put off by recruitment processes that aren’t up to scratch or take too long. Here are a few tips to help you optimise your recruitment process to attract quality candidates, give the best impression of your organisation and build your employer brand throughout. Great candidates will generally be aware of what their specific skills and expertise are and which roles their experience is best suited to. Many job adverts are vague, don’t include vital information like the key deliverables, or don’t specify what qualifications and experience are necessary for the role. For candidates, this means they can’t be certain they’re what you’re looking for and will stand out above other candidates, meaning they may well avoid applying all together. Know what you’re looking for and communicate this effectively in your adverts, and you will attract candidates that know what they can offer and fit your needs well. It’s also vital to make your advert easy to find and searchable online. Use relevant keywords or phrases specific to the role, industry or company, location and what candidates will typically search such as job title, location and salary. Repeat these keywords throughout the job advert to optimise visibility and response. Be concise and clear throughout the advert; use bullet points and ensure individual adverts are mobile-friendly – according to Undercover Reporter 45% of job seekers search for jobs daily on their mobile device, so make it easy for job seekers to apply for your job. While sometimes bespoke application forms can be necessary for specific monitoring information, making these too long will make great candidates reconsider whether the application is worth their time. It’s advisable to keep application processes as simple as possible as it is easy to obtain more specific information about candidates later on in the process. Asking candidates to submit a basic CV and covering letter should be enough to determine who is worth meeting face-to-face. similar application process for jobs on your website to make applying as straightforward as possible for candidates. If you’re uploading adverts on other job boards, consider their recommended option, as this will have been tested and optimised to make it simple for candidates and maximise the number of applications you’ll receive. The best candidates will strive to be associated with organisations that excel too. Errors such as grammatical or spelling mistakes, formatting issues or unclear descriptions are likely to put off the top calibre of candidates, because they will be drawn to organisations that strive for high quality in all that they do. Poor recruitment materials reflect badly on your organisation, so it’s important to take time to ensure all of your documents are comprehensive, accurate and effective before you distribute them to potential candidates. While people will generally be understanding if there are unforeseen circumstances that mean you have to rearrange an interview, doing this repeatedly gives the impression that a business is unorganised, not communicating or don’t value their candidates’ time. Prior to contacting a candidate or confirming interviews with your recruitment consultancy, make sure you have double-checked with all the interview panel members to make sure they are available and have it in their diaries. Top candidates are often in demand, and so making the process too difficult may lead them to consider other options. Leading on from this, try not to make interview processes too long and arduous. If possible, try to put together a timetable for the whole interview process before you start so that you can give this to candidates from the beginning and ensure their availability. For more senior and permanent positions, it is common practice to have two or three interview stages including psychometric testing and presentations. It is helpful to allow candidates to meet key decision-makers and stakeholders during the process as well. However, if you’re recruiting an interim role, it is more common to only have one telephone interview and one face-to-face interview before appointing. Having an organised and efficient interview process will portray your organisation in a positive light, as well as decreasing the chances of drop-outs or scheduling problems. 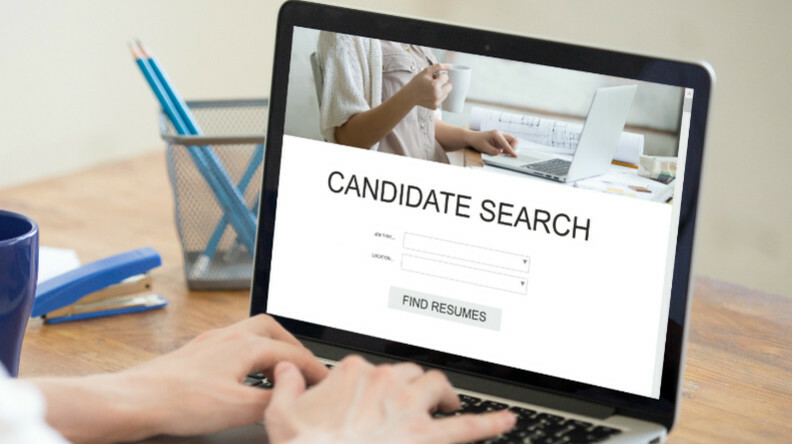 Many organisations will automatically reject candidates that appear to be over-qualified for a vacancy, without speaking to the candidate to find out why they applied or were attracted to the role. There are many legitimate reasons a candidate may be looking at positions that seem to be below their level of expertise: they require a position closer to home, they need shorter hours or more flexible working, or they’re looking to gain experience in a new sector. They could be a valuable asset to your team, so it is important to discuss their skills, experience and needs before dismissing their application. Many hiring managers forget to factor in their own organisational values when recruiting new candidates, but it can be key to their success in the new role. There maybe candidates that don’t have the qualifications you’re looking for, but if they are passionate about the same principles as the organisation and have equivalent experience they may well be able to motivate and drive your team more effectively than someone who is more qualified but wouldn’t thrive in the unique environment of your organisation. Even the best candidates are accustomed to being rejected from positions for various reasons. Sending them a rejection email to inform them of your decision, rather than avoiding any response, shows candidates you value the time and effort they put into applying for your role and confirms that you are transparent and uphold best practices within your organisation. While you don’t need to offer feedback to every candidate that applies, giving the candidates you interviewed in person a short paragraph explaining your decision and improvements they could make. If you’re looking for high quality candidates to join your team, speak to one of our consultants today.